The cows have come out as champions in the lengthy battle for a place on Petersham Meadows. The Petersham Herd will not be returning but a new untested herd. The old herd has been broken up and the farmer completely disillusioned by his experience with the National Trust. Cows can resume grazing on the meadows along Richmond riverside this month, following a joint agreement between Richmond Council and the National Trust. The announcement has come just months after farmer Ian Brown, who looks after the cows, was told his stock would be turfed out of their usual grazing spot because of wrangling over an electric fence. Herdsman Ian Brown will not be employed for this season after more than a decade looking after the cows on the meadows. The new plan is welcome news to the National Trust, which has been in discussion with the council for months about letting the cows stay. 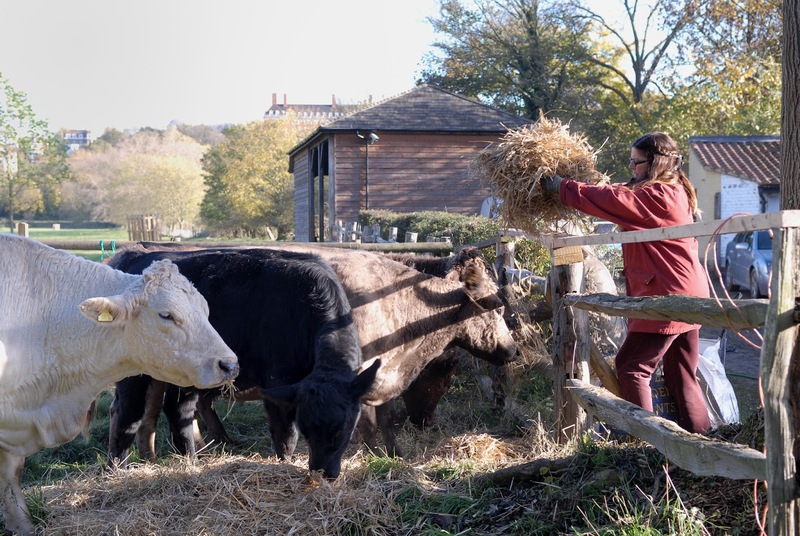 Regional director for the National Trust for London and south-east Hilary McGrady said: ‘The National Trust always wanted to see the cows grazing on Petersham so we are delighted that this is now possible’. The agreement allows for a temporary fence, running along the flood defence wall, to be installed at the start of grazing season and will be taken down when the cows have gone to pastures new. Cabinet member for the environment and planning Councillor Virginia Morris said: ‘It will be wonderful to see the continuation of cows grazing in the meadows’. The National Trust put up an unpopular fence on the meadows following a dog attack on a cow in May 2011. Dogs are currently allowed on the meadows but must be on leads. Richard Parkes from Twickenham said: ‘As a dog walker I would say we are spoilt for choices in the borough for where we can walk our dogs, so cows enjoy’. Our heritage is cows grazing on the Petersham Meadows, which on the face of it will occur for part of 2013. Work on the fence has not yet started so how it will look and function is unclear. The National Trust is still confused about the nature of the meadow and thinks its biodiversity is reduced by grazing even though it ceased to be a water meadow years ago. Plans to section off the small meadow remain active. The interests of the public have not been well served by this agreement between Richmond Council and the National Trust. There were no reports of members of the public being injured by the Petersham Herd and visitors always found them very docile. It is unlikely that this group of cattle will prove to be just as passive and the National Trust has been warned.